Home » castings » Miss Fitness Hollywood Pageant Call for Contestants! 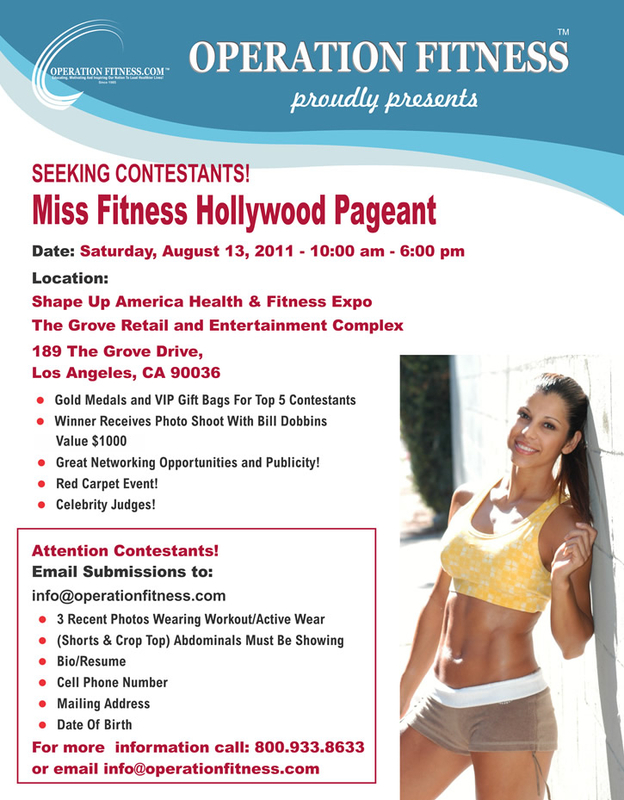 Miss Fitness Hollywood Pageant Call for Contestants! * Gold Medals For Top 5 Contestants! * Winner Receives Photo Shoot With Bill Dobbins (Value $1000)! * VIP Gift Bags For Top 5 Contestants! This will be an all-day event at the Shape Up America Health & Fitness Expo, with attendance by top fitness, sports nutrition and health companies! 7. Tell them "ModelVanity" sent you!